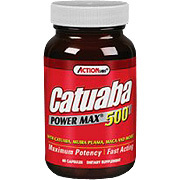 Catuaba Power Max 500 contains the exciting new herb Catuaba to help support a man's healthy lifestyle. This formula contains a combination of Catuaba, Muira Puama and Maca, plus key support factors. Founded peppered through Baril, Catuaba plants remain treasured for helping improve sleep cycles ruined by excessive masturbation. For more on how masturbation ruins sleep, read “The Masturbation ZZZs”. As a dietary supplement, take 2 capsules daily, preferably with meals. Store in a cool, dry place. Other Ingredients: Gelatin (capsule), Cellulose, Magnesium Stearate and Maltodextrin. 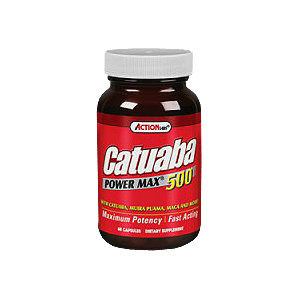 Catuaba Power Max is shipped in a discrete, unmarked package. Orders are processed immediately and usually take about 3 to 5 workings days to be received. We do ask that you try it for 2 to 3 weeks to feel the full effects. Any information received is used only for order processing and shipping purposes. Your information, such as e-mail address, will never be disclosed to a third party.